CHAPTER 3: GALACTIC ANNIHILATION ? The Republic and Empire are at war, even as the Sith ruler secretly plots to consume all life in the galaxy with a powerful DARK SIDE RITUAL. Jedi Knight <name> races against time to thwart the Emperor's horrific plans. ? After defeating fallen Jedi Leeha Narezz, <name> learns that the Emperor has sent LORD FULMINISS on a secret mission to destroy all life on the mysterious planet of Voss. ? 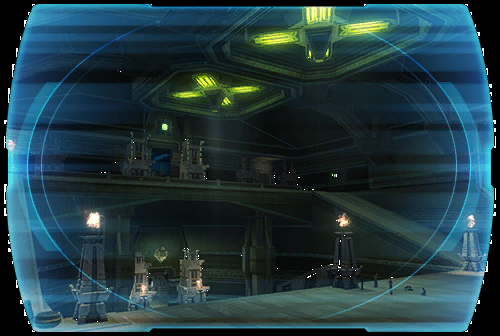 <name> must pursue the deadly Sith into the depths of an ancient temple, but enemy assassins and shadowy threats stand between the Jedi and victory.... ?